I take the bees outside, unscrew the lid of the bee jar, and listen to their angry buzzing. “I hate you,” I whisper. Lily’s mother has slowly been losing herself to multiple sclerosis. After traditional treatment fails, she uses bee sting therapy, administered by Lily, to alleviate her pain. Lily is trained as a veterinary assistant, so she can easily handle the treatments. What she can’t handle is what happens when the bee sting therapy fails and it becomes clear that her mom wants to die. 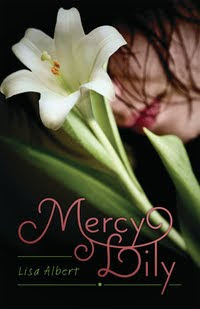 One beautiful spring day, Lily’s mother asks her for the most impossible thing of all—mercy. While navigating first love, friendship, and other normal worries faced by high school sophomores, Lily also has to choose: help her mom go, or cling to her fading life for all it’s worth. It's been forever since I did a Waiting on Wednesday. Schedules have conflicted some weeks and, to be honest, I've been slacking a little bit on the blog lately. At any rate, there are lots of books I can't wait for, and I'm ready to get back to talking about them. I first heard about this book one day when I was browsing The Story Siren. I looked up the summary on GoodReads and it sounds absolutely heart-wrenching. I've also never heard of a book where a teenager faces the choice of letting her mother live or die. I can't be certain that this book will live up to the early buzz, but I imagine I'll be needing a lot of tissues. I am waiting on this one too. The cover is lovely and it sounds like such a heartbreaking novel. This book sounds amazing. Off to put it on my to-read list!